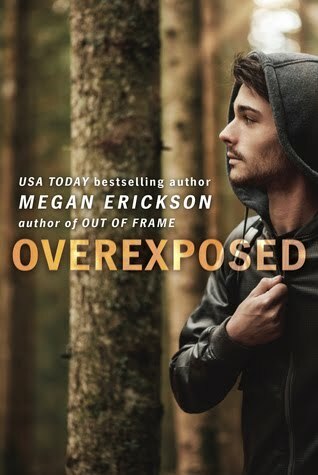 Overexposed can definitely be read as a stand alone story. This is such a fantastic series, though, I would wholly recommend reading the whole series. The MC's from the previous books only come into the story during the epilogue. Also, the book is told from Levi's POV, except for the epilogue, which is Thad's POV. Levi​ Grainger​ was one of the cast members of the reality show, ​​Trip League​​, and was shown and billed as the stereotypical flaming ​drama queen. That's not really who he is, though. He can be high maintenance, but he's also pretty down to earth. He and his sister, who was serving in the Army, had made plans to hike the ​​Appalachian Trail, after​ the show ended and​ her last deployment​,​ as the adventure to really start their lives. Except, she never made it back from that deployment. Levi ​decided he would still go, though. It's his way of still feeling close to her and maybe even a way to deal with his grief. Or maybe just not think. Except one thing I've always found to be true -- when you don't have a whole lot to distract you, thinking is all you really do. So, not a real good way to avoid being introspective. But I digress..
On the trail, Levi meets Thad Connors​, by the light of the moon​. Quiet, steadfast, Thad. Thad doesn't like to talk about himself. Or anything else, really. But he takes to Levi fairly quickly and decides that they should do the hike together, for at least as long as they can. Thad is a complicated guy. It's clear that he's dealing with some stuff, but he won't really talk about it. We learn about Thad a little bit at a time, as he feels more comfortable with Levi and maybe even himself. Thad is smart and capable and steady. He's also broody and moody and closed off. He has trouble dealing other people's expectations of him and tends to feel like he just isn't enough. Hiking the Appalachian Trail gave both Levi and Thad a chance to start over ​without the pressures of their pasts. For awhile, at least. ​Levi wasn't the reality show star, and Thad wasn't...what he was running from. ​I'm not going to spoil the plot, or anything, because I loved just how everything was uncovered, bit by bit, stone by stone. I would not want to deprive you of those layers. ​Their connection was just supposed to be on the trail, but our emotions don't always get the memo. And by the time trail is behind them, they both have decisions to make. 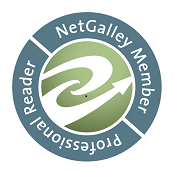 ARC of Overexposed was generously provided by the publisher, via NetGalley, in exchange for an honest review.